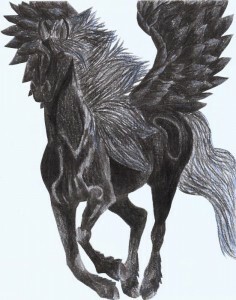 Got to be a pegasus. as she flies by the steeple. and she can’t be claimed.